Not cheap. How much does something like this new boiler cost these days? The Pine Creek crew looked into new boilers (smaller than this) back in the early 1960s and the money was huge then. At least this will conform to the recent federal rules, which outlawed so many "antique" and "hobby" boilers. All thanks to the Gettysburg RR and the Ohio steam tractor boiler failures. 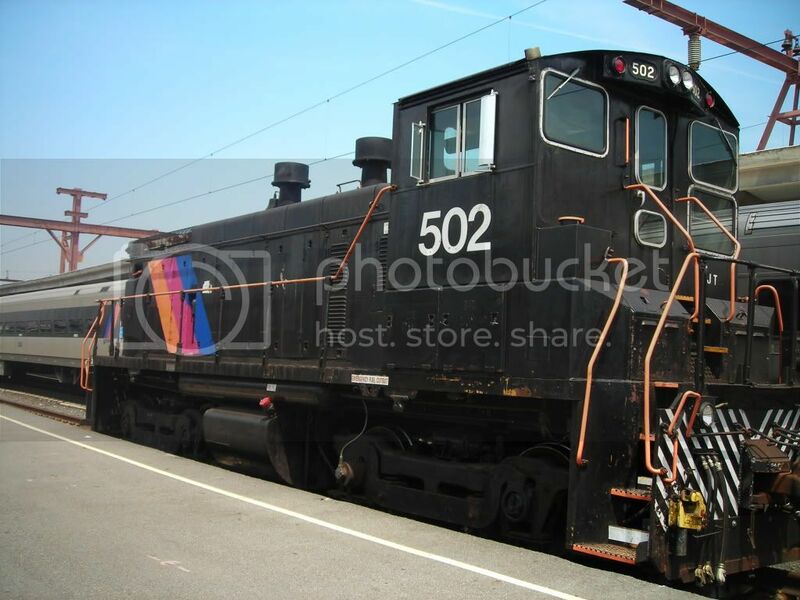 I am potentially planning a trip this summer/early fall to the Whippany Railway Museum and I would like to get some rolling stock photos of the Morristown & Erie if possible. I have a few questions I hope some folks can answer for me. 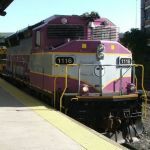 GP40MC 1116 wrote: I am potentially planning a trip this summer/early fall to the Whippany Railway Museum and I would like to get some rolling stock photos of the Morristown & Erie if possible. The Whippany Railway Museum's four Comet I coaches (3 trailers and one cab) are the only four that will be publicly accessible on our line, and should be easily viewable at the Whippany grounds. The M&E-owned cars are stored in locations that are not accessible without trespassing, so I very strongly suggest you do not attempt to photograph those without first checking in with the M&E police department in Morristown. Whippany's four coaches are the three trailers (#1786 "Hanover", #1753 "Morristown", and #1803 "Whippany") and cab car #5119. Yes, you can get them any day of the week right at the museum in Whippany. While the museum building is closed, the property is open to the public, and generally there are volunteers there working on the equipment during the week. Just curious, but with the ME 488 and 489 in service in Rockland, how does the Whippany Railway Museum run their Santa Trains (with the Comets) without HEP? GP40MC 1116 wrote: Just curious, but with the ME 488 and 489 in service in Rockland, how does the Whippany Railway Museum run their Santa Trains (with the Comets) without HEP? They use some of the private cars with generators under them. Typically, they use the Birken and the Alder Falls to power the three Comets and the Jersey Coast. I have a quick question on the one C1 cab car... I saw a post on facebook that the whippany museum plans on using it as a coach? (And not as a cab car?) Anyone know why? And is the cab operational and functional? Or do the controls not work? The cab car looks great especially with the "tiger stripes" and all. It'd be a shame not to use it as a cab car as that alone (a fully operational C1 cab) would be a HUGE draw! Hi. Welcome to the "official" Whippany Rail Museum thread. I've merged quite a few threads that related to the museum. Please feel free to contribute here. airman00 wrote: I have a quick question on the one C1 cab car... I saw a post on facebook that the whippany museum plans on using it as a coach? (And not as a cab car?) Anyone know why? And is the cab operational and functional? Or do the controls not work? The cab car looks great especially with the "tiger stripes" and all. It'd be a shame not to use it as a cab car as that alone (a fully operational C1 cab) would be a HUGE draw! Thank you for the response! It's good to hear that someday it'll be used as a cab car. The restoration of DL&W MU Subscription Club Car is a long-term project. The Whippany Railway Museum http://www.WhippanyRailwayMuseum.net is utilizing the services of Star Trak, Inc. located at the URHS restoration facility in Boonton, NJ. Currently all of the earlier paint layers have been removed and the carbody and roof are now coated in primer paint. The lower, rotted portions of steel along the bottom and ends of the car have been cut out and refitted with new metal work. Repairs were made to a minor leak in a portion of the copper-clad roof. Steps and vestibule platforms are in the process of being rebuilt. Museum volunteers have removed all window frames, and they have been refurbished and fitted with new glazing. A notable feature of No. 2454's original 1912 construction is the stained-glass window panels above each large passenger window. Some time after the 1930 rebuild of the car for electric MU service, the stained-glass windows were plated over to give the car a more “modern” appearance. Museum volunteers removed all the plating and found that the original 1912-era wood framing and stained glass panels were still in place and intact. The wooden frames for the stained-glass unfortunately did not age well and were all removed and have been totally re-fabricated. As for the interior, which is in remarkably good condition considering the three decades of non-maintenance and exposure to vandalism and the elements, WRyM staff have cleared the car of all carpeting and debris. Volunteers have already begun restoration of the interior of the car, including all woodwork, ceiling panels, light fixtures, seating, etc. The Club Car will eventually move to its new home at Whippany, NJ once Star Trak completes its part of the restoration process. Operation on the Museum's excursion trains is still a good two years away. Three images attached showing the recent progress so far. Whippany Railway Museum's former Southern Railway No. 385 "out on the line" today at Whippany. Nov. 3, 2015. The Morristown & Erie Railway will be running their own Polar Express trains. Tickets should be on sale via their internet site sometime in mid-summer. If you have ordered tickets for the Whippany Railway Museum Santa Claus Special, a refund will be issued back to your credit card by April 8 ,2016. We hope that you will continue to support the Whippany Railway Museum’s future train rides and events.